Hamsters are very clean animals and in order to keep them happy it is important that their cage is cleaned on a regular basis. It is recommended that you clean your hammy’s cage at least once a week especially if it’s a smaller one. Larger cages can go without full cleans (just change some or all of the bedding) for a longer time. Hint: Having a potty/toilet in the cage will help confine most of the mess in one place and make it easier to clean. 1. Keep your hamster safe. Hamsters are surprisingly quick and may be difficult to catch if they escape. You can keep them in a play area or an exercise ball you are cleaning their cage as this will allow them to explore without putting themselves in danger. 2. Remove all toys, hideouts, tunnels, and other accessories. These can then be washed with warm, soapy water. You can dry them off with a towel or leave them to dry while you are cleaning out the rest of the cage. It is important to ensure that all the soap is completely washed away as this may make the hamster ill if they ingest any. 3. Remove all wood shavings (also known as sawdust in some countries) and bedding. The easiest way to do this is to place one end of the cage in a plastic bag and then tipping the contents of the cage into the bag. You will need to make sure that the cage is completely empty before moving onto the next step which means that you may need to scrape some bedding off the bottom of the cage. The corners in particular should be checked to ensure that none of the shavings or bedding is remaining. Hint: Good bedding/wood shavings can keep the cage clean and odor-free for a longer time, reducing the need for frequent changes. Find out which ones I recommend here. 4. Use a disinfectant that is designed to clean hamster cages. This type of disinfectant will not contain any chemicals that may harm your hamster. Your hamster will also be able to recognize their cage as they will have put their own scent on it and using a mild disinfectant will ensure that the cage is cleaned properly but does not get rid of this scent. This disinfectant should be left for the amount of time that is indicated on the instructions in order to allow it to dry completely before the new bedding is added to the cage. Some people also use a mixture of 1 cup water and 1 cup vinegar instead of a commercial disinfectant. 5. Put fresh wood shavings and/or bedding in the cage. The bedding should completely cover the floor of the cage and enough should be provided for the hamster to keep themselves warm when they are asleep. If you place the bedding in the area of the cage where they usually sleep then they will arrange it so they are comfortable. 6. Replace all the toys and other accessories. If you can try and put them back in the same place as they were before. Your hamster will have arranged all these toys to where they want them and they will remember where they have placed them in the cage. Following the above steps will ensure that your hamster has a clean environment in which to live and this can go a long way to keeping them happy and healthy. 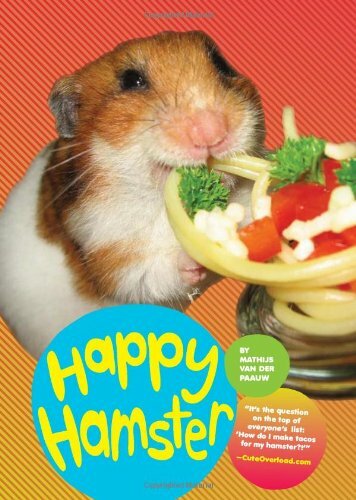 Don’t forget that the hamsters food should be replaced every day and their water refilled as often as is needed.